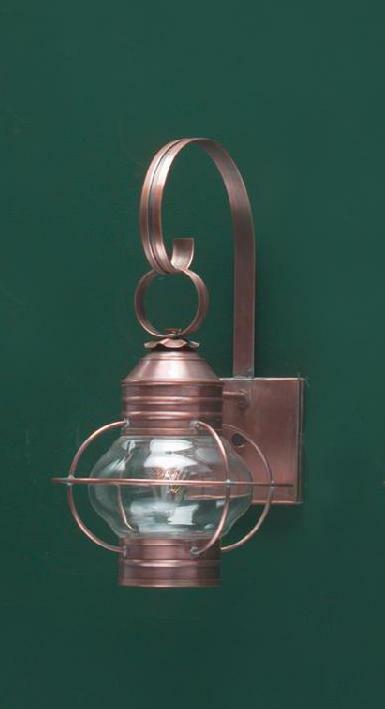 Hammerworks reproduction handcrafted copper Colonial Onion Wall Lights are a practical and functional choice for any setting. 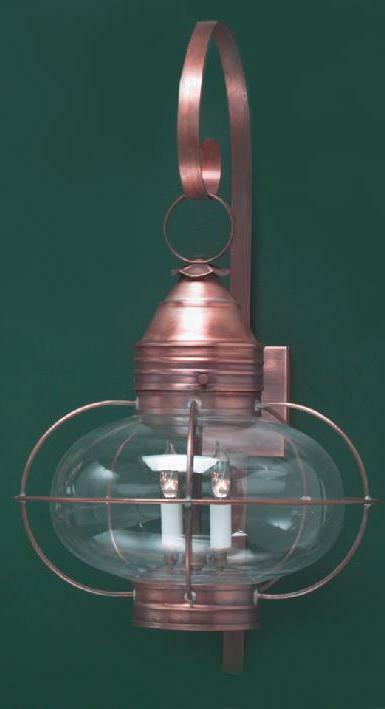 Most importantly we make these versatile historic reproduction Onion Wall lanterns from solid copper or brass. Furthermore they coordinate with Onion Post Mount and Hanging Onion Lights. Since we create Rustic Style Onion Wall Lanterns in several sizes you are sure to find one just right for your space. Hence they can be used in a variety of indoor & outdoor settings. 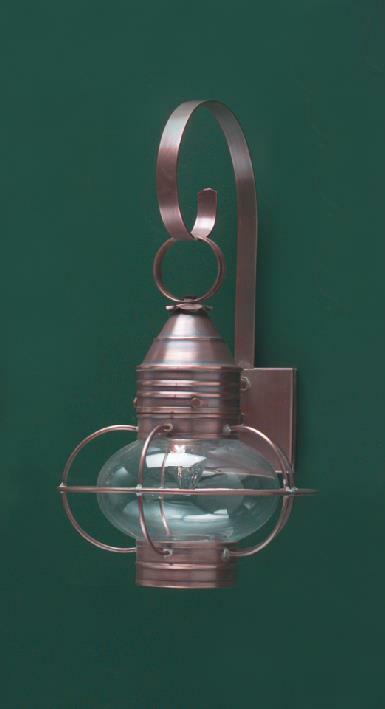 In addition other than the obvious placement on the exterior of your home Colonial Onion Wall Lights are ideal indoors. Interior uses range from entrance halls & kitchens to family rooms, bedrooms & bathrooms. Therefore you can install Primitive Style Onion lanterns wherever a light is needed. Also the attractive design blends well with a multitude of decorative styles. 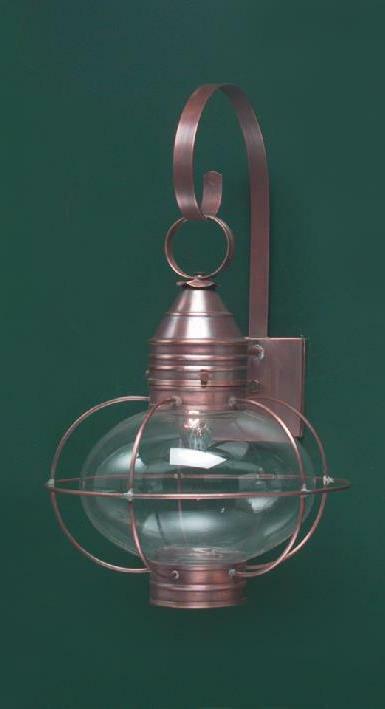 First and foremost Hammerworks creates Colonial Home Onion Post Lanterns completely by hand. Of course each Reproduction Onion Post Top is made out of your choice of solid copper or brass. Consequently they withstand harsh weather conditions and will not rust or corrode. In addition we offer Onion Post Lanterns in three different sizes as well as with either a round or onion shaped glass globe. Also each Onion Post Mount is equipped with a standard 3″ post fitter, ready to be mounted on the Lamp Post of your choice. Finally, our Early American Onion Post Lights coordinate perfectly with our Onion Wall Mount and Hanging styles. Most noteworthy Colonial Cape Cod Hanging Onion Lights coordinate perfectly with the Colonial Wall Lanterns & Post Mount Fixtures. As with all of our handcrafted lighting each Primitive Style Hanging Onion Light is made in your choice of solid copper or brass. 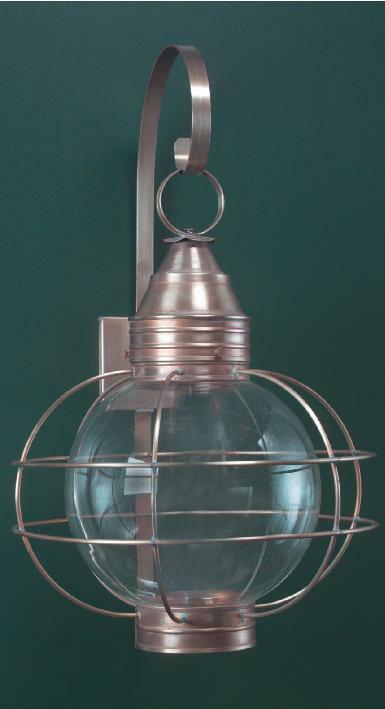 Also each Rustic Style Hanging Onion Light Fixture is equipped with a matching ceiling canopy and 2 feet of chain. In addition you have a choice of the standard single down light or a variety of candelabra style light configurations. Thus they will light any area with ease.